The Lensbaby 2.0 and 3G are selective focus SLR lenses, which have a flexible “lens barrel” to give you that smooth out of focus effect in portions of your images. Basically, you bend, push and pull the lens to move the “Sweet Spot” where you want it and blur the remaining areas of the image. The Lensbaby 2.0 and 3G are both single element lenses featuring the flexible body referenced above. The basic functions are the same on both of the models; however, the 3G has some upgrades that are very useful in many circumstances. The Lensbaby 2.0 default focus distance is 24″ and the 3G is 18″. In order to focus on subjects beyond that, you have to compress the lens. Once you find the in-focus point for your subject, you can start tilting the lens to adjust where you want the Sweet Spot of the focus to be. With the Lensbaby 2.0, you have to have steady hands in order to hold on to the Sweet Spot while you snap your photo. However, the 3G has a focusing collar which locks into place upon the push of a button. The 3G also features three metal rods that are threaded to further fine tune the Sweet Spot. 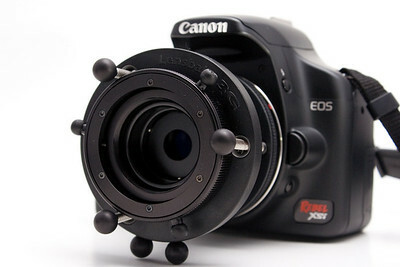 Additionally, the focusing collar has a fine focus ring to hone the precise focus to your liking. If you’ve been wondering when and why people use live view on a DSLR, fine tuning the Sweet Spot and focus on the Lensbaby 3G is the perfect opportunity. As much as I dislike the clunky interface of the Canon Rebel XSi live view, it produced great results in combination with the Lensbaby 3G. 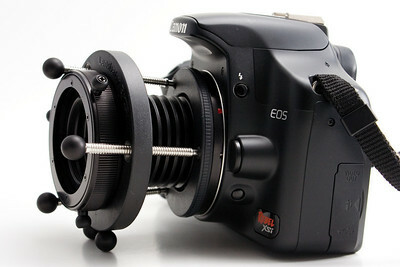 The Lensbaby 2.0 and 3G are designed to work with a number of cameras, including Canon, Sony and Nikon digital SLRs. 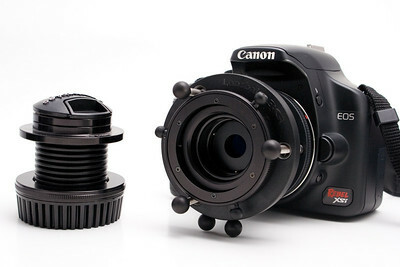 The lenses should be compatible with aperture priority mode in modern DSLRs – the camera chooses the appropriate shutter speed since the Lensbabies use manual insert Aperture Disks. The Lensbaby 2.0 offers aperture options of f/2 to f/8 in full stop increments. The Lensbaby 3G offers aperture options of f/2 to f/22, also in full stop increments. Changing the aperture is a breeze with the included magnetic tip tool. Overall, I had a lot of fun with the Lensbaby 2.0 and 3G. I had different preferences for how I used each of the Lensbaby models though. For quick, informal snapshots, I prefer to use the Lensbaby 2.0. I found that using the 3G when I want something snapped quick can become a little overly complicated, and ultimately I lose the shot. There are no metal rod focusing knobs to get in the way. I bend to 2.0 where I want it and quickly snap my image. For close up and landscape images, however, I prefer the fine tuning capabilities of the Lensbaby 3G. The 3G really is capable of producing critical focus when you need it. Be warned though, the tiny and dim viewfinders on consumer-grade DSLRs make finding the critical focus point nearly impossible. This is where live view displays come in handy. With time and practice, I am sure you could produce some very creative images with Lensbabies, which is evident from browsing through the awesome Flickr Pool for Lensbabies. I had a lot of fun shooting with these lenses. It’s nice to have a tool that opens your eyes to more creative opportunities, and at the same time simplifies the process. Post-processing software is phenomenal nowadays; however, there’s something special about attaching a creative tool like a Lensbaby to your camera and producing spectacular results. You can purchase the Lensbaby 2.0 (Street: $120) and 3G (Street: $240) directly from the Lensbaby website; however, a few of the mounts are out of stock at the time of this review. The Lensbaby 2.0 and 3G are also available from Photography Bay’s recommended online retailers: Amazon.com, B&H Photo and Adorama. those pictures look like sh*t. why would anybody buy such a stupid invention?